It’s a lovely morning at the Sebastian Inlet. Winds are blowing out of the Southwest at 5 mph, gusting to 9 and the water has a light chop. There are no NOAA advisories. We have a chance of showers and possible thunderstorms this afternoon and evening but the rest of the weekend looks like we will have sunny skies, temperatures in the low 80’s and cooperative seas for our boaters. It looks like it’s going to be a real nice weekend. Always check the NOAA forecast prior to boating as conditions can change quickly. The bite from the north jetty remains on the slow side although some nice species are being landed in small numbers. Pompano is the most coveted fish right now and we’ve seen some come over the rails with some good size. 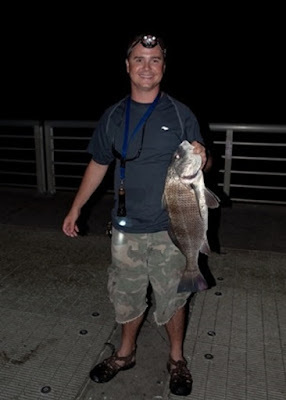 Black Drum, Spanish Mackerel, Snook and Sheepshead are hitting sporadically. 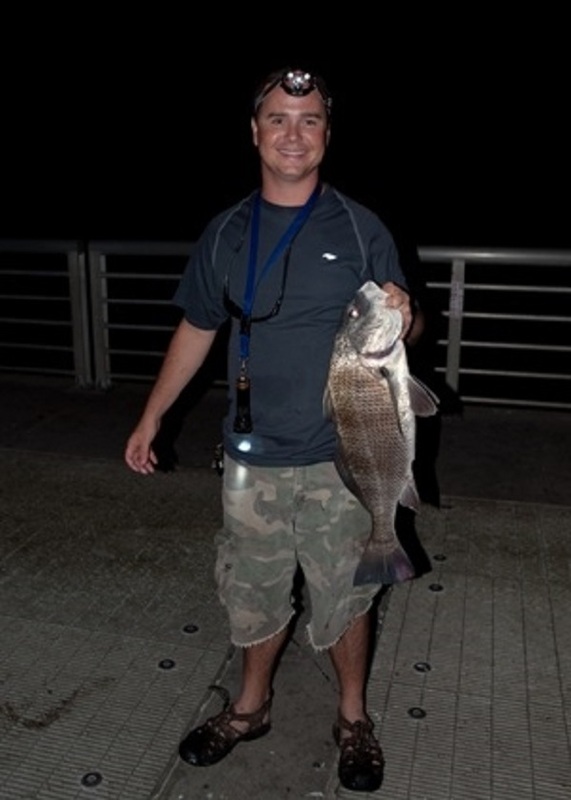 Our photo today is one from Sam Hirsch with a 25” Black Drum he landed.